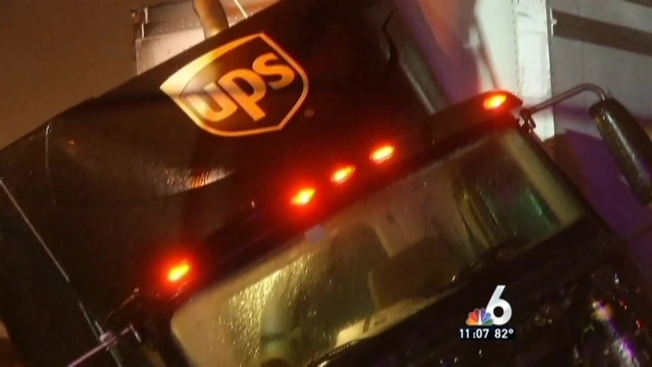 The Florida Highway Patrol says Friday's rainy weather was a factor in a crash involving a jackknifed UPS truck that snarled traffic in northwest Miami-Dade Friday morning. The crash closed all lanes on Interstate 75 southbound at Exit 1B/SR-826 Friday morning before 5 a.m. The lanes have since been reopened, but motorists can expect some residual delays as heavy rain continues to pound the area. Details on possible injuries were not immediately available.